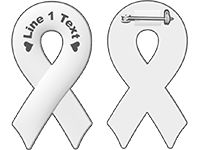 Customize as few as one silicone awareness ribbon pin or cancer ribbon pin with a name, date or message. 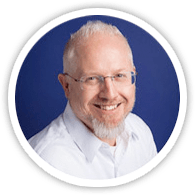 Laser-engraved, immaculate lettering and etching ensures that your message or artwork lasts as long as the ribbon itself (i.e., a long time!). Phrases and symbols won't wash off or wear away. Our silicone ribbon pin is 2.75" tall and 1.5" wide, a great size and shape for a lapel, vest, or bag. A slight three-dimensional curvature and folded mold give each ribbon pin shape and scale. We use the highest quality mixtures of industrial-grade silicone to make sure you're getting the toughest, most awesome ribbons ever. Silicone is stronger and longer-lasting than rubber, and Reminderband conducts ongoing tests and research to ensure our bands, pins, and keychains are the best on the market. 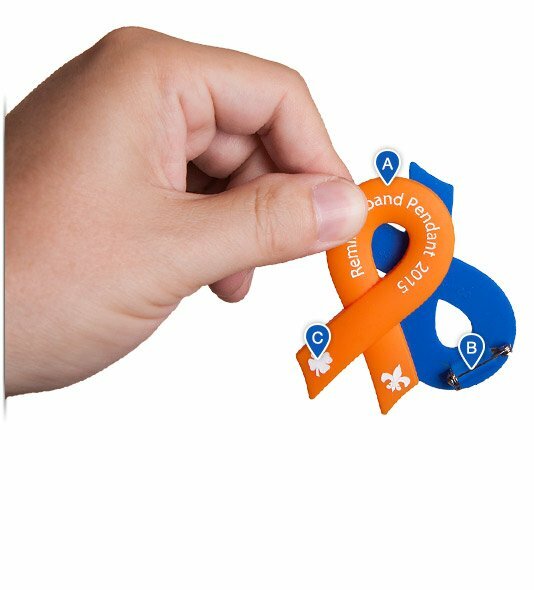 Our ribbon pin is the perfect way to show support and raise awareness for a cause. At 2.75" tall and 1.5" wide, this versatile pin makes a subtle statement. Adorn it with your custom text, logo, or artwork, or wear it plain. The ribbon pin in the 3D model at right is hot pink with Acknowledgement font in lime green color-fill.